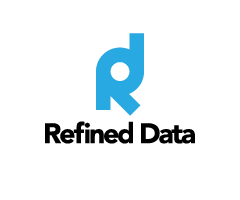 With the Collapsible Label feature you can streamline the look of your courses and facilitate accessing and navigating content by allowing your users to expand or collapse content within a label, hiding long text passages when no longer needed. 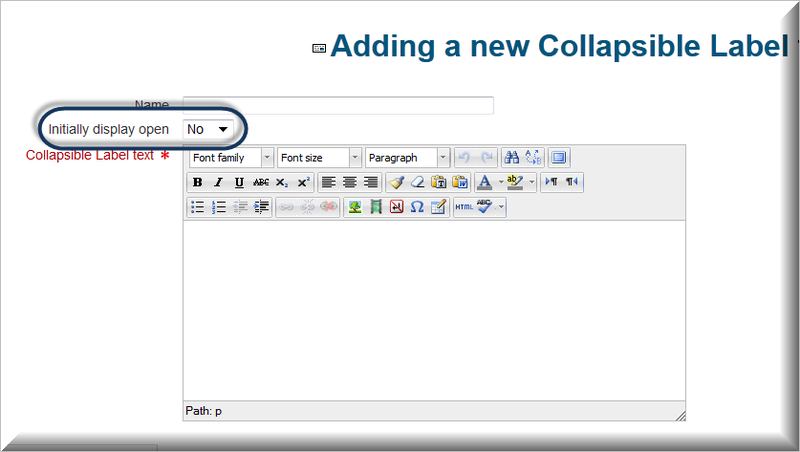 When the screen Adding a new Collapsible Label appears, give the label a descriptive name, select how to display the field initially, then add the Collapsible Label text. 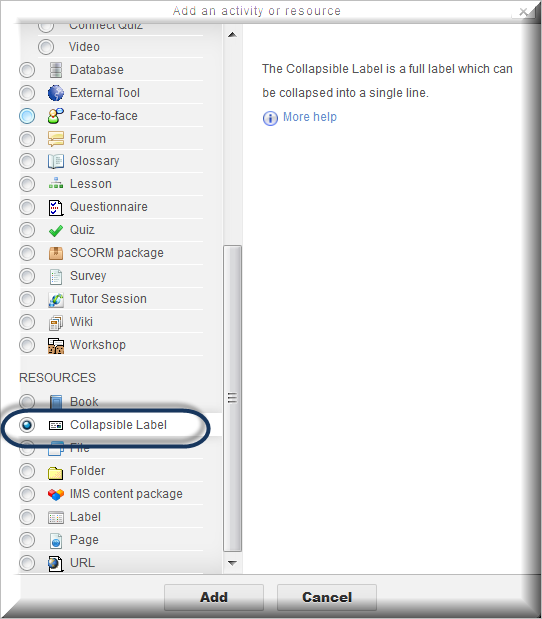 Other settings on the Adding a new Collapsible Label page allow you to restrict accessibility of the label to members of certain groupings (via the Common Module); restrict availability of the label based on dates, completion of activities or other conditional prerequisites (via the Restrict Access settings); and set completion criteria for viewing the label (via Activity Completion).